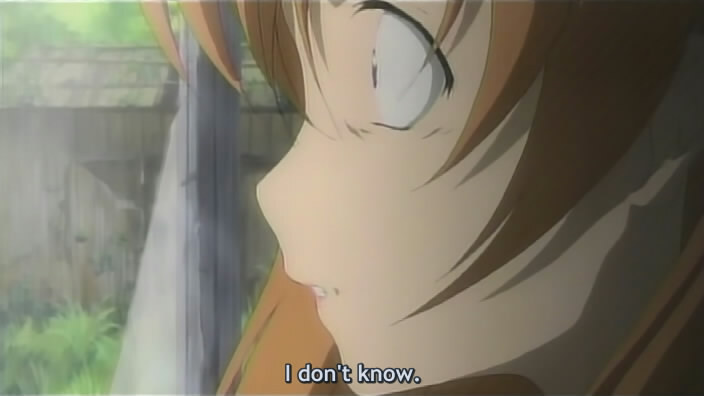 Higurashi no Naku Koro Ni Kai 12: How Many Mysteries are Left? Not that many, actually, though some essential ones remain. And this episode continues the trend of being simply, well, different–totally different outcomes and plot points and a different focus altogether. 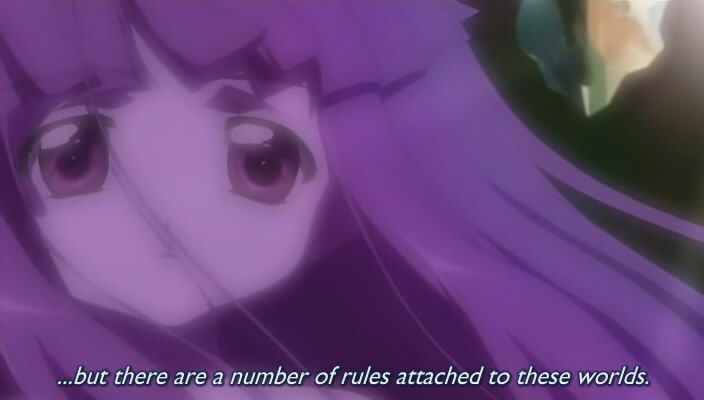 In many ways this is a different show from the first season, though they’re intimately interconnected. The bulk of this review, of course, contains spoilers. Read the spoilers at your own risk. 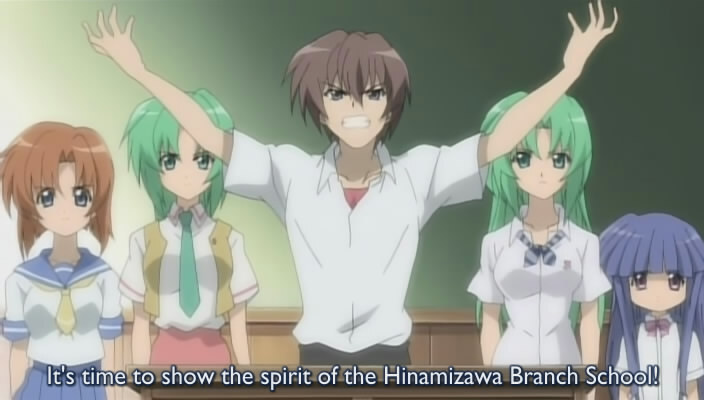 Higurashi no Naku Koro Ni Kai 10-11: Does It Tie Together? It’s just like this show to find an ominous turn in the midst of hope, and foretell the arc’s title “Massacre”–though of course not in the way we were led to think. And, honestly, without knowing where it’s exactly heading, I can’t say for sure whether it works or not. But as they say: “I have a bad feeling about this.” Especially since, as far as I know, this show is going to go on for another season, and at this point I’m really not sure how much more there is to know; most of the key mysteries have been revealed this season. 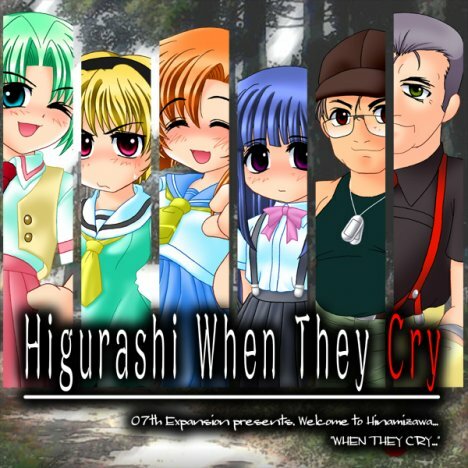 A lot of fans have said that this is the best arc of all in the entire Higurashi cycle, and the way it’s going so far, I’m starting to believe them. Compared to the previous arcs, it’s definitely the most different, the only one that isn’t suffused with despair (and thus the one with the highest degree of tension–for once there is genuine question about the outcome of the story). I’m really pleased with the way the writers are now starting to give us payoff for all the arcs we’ve watched previously. 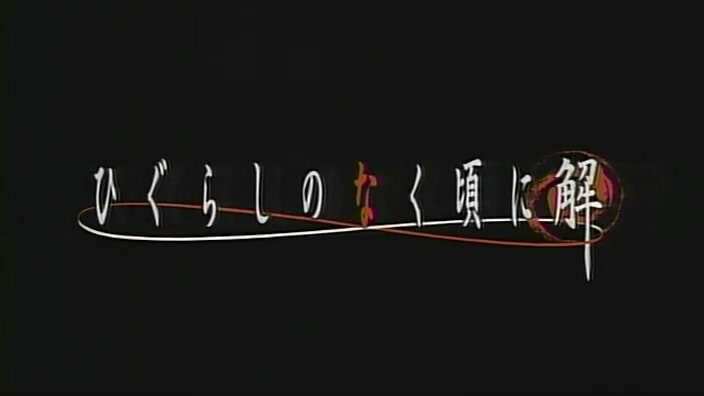 Of course, given the title of the arc is “Massacre”…maybe it really will be for naught after all. Contains spoilers–even in the screenshots! Be warned. 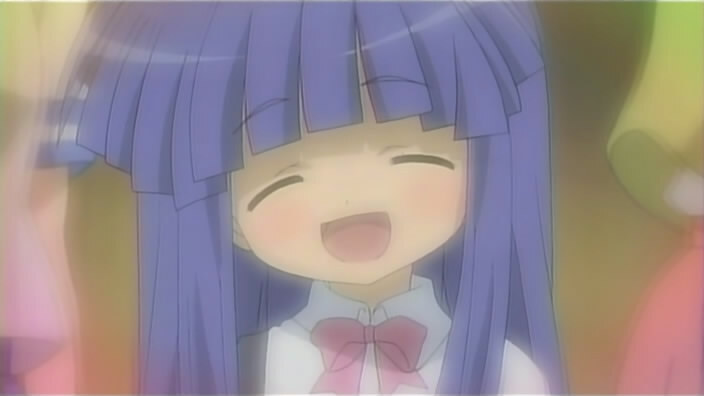 We saw in the opening sequence just how much the new series was going to focus on Rika. The previous season only hinted at her role in this accursed town, or her abilities–only, in one arc, to reveal her grisly end just prior to the Great Hinamizawa Disaster. 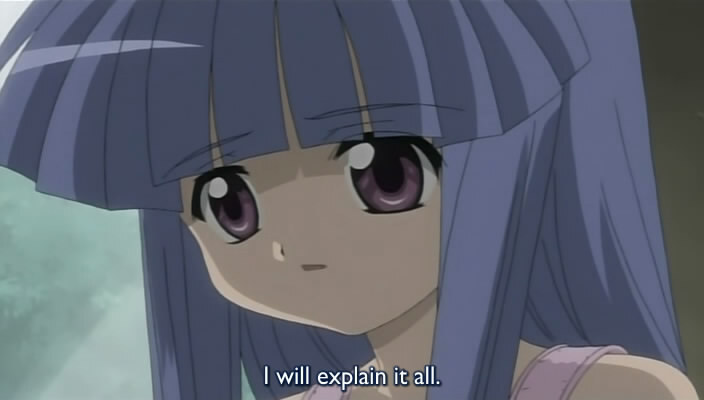 Episodes 2 and 3 of the new season pretty much spell it out clearly, with her two voices (only one of which is Rika–and it’s not the cute “Nippa!” voice which is Rika’s), and with Mion outright admitting: Rika is likely none other than the current incarnation of Oyashiro-sama. And she is fated to die at this year’s festival. That she is something of a god in this universe is clear at the start of episode 2, in which the multiply overlapping storylines are directly alluded to and beginning to be justified (though, if one has a knowledge of this show’s game roots, it’s also kind of funny: like the game, the goal is to get to one of the “happy endings”). I think, in fact, the first few minutes of episode 2 teeters on explaining too much, but given the number of completely unresolved puzzles that are left in this show, it could also be a welcome bout of clarity. 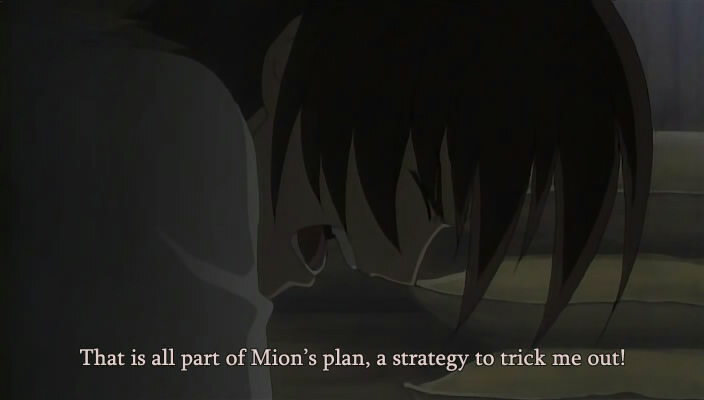 There has been an increasing sense since the final arc in season 1 that a reckoning, an accounting, is on its way–some sort of explanation not only of what and how but the meaning of the events. 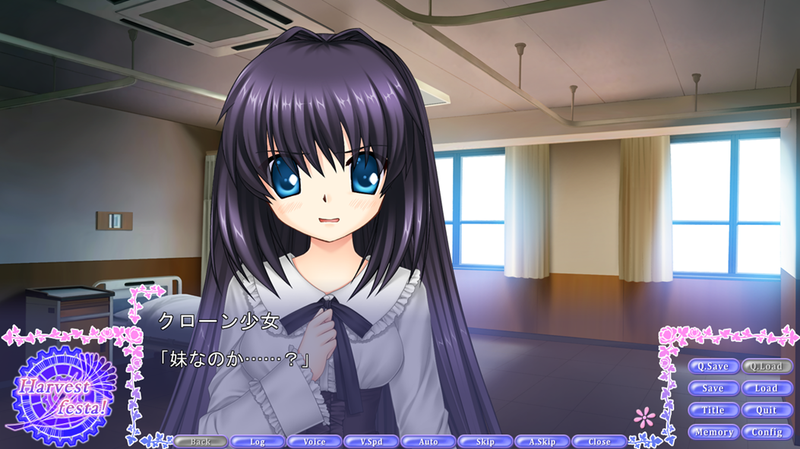 And Rika is at the center of it. 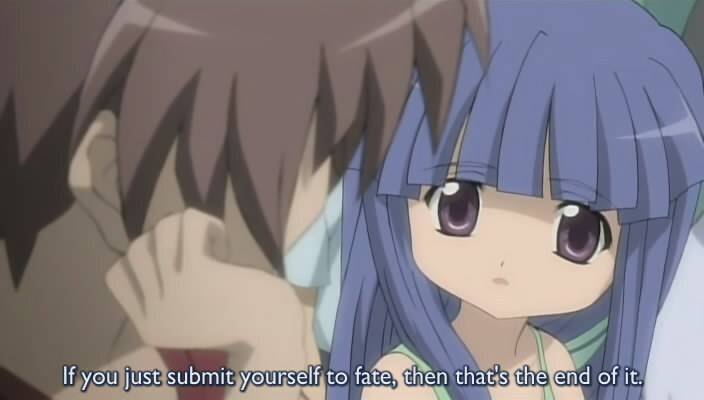 The idea of Rika, an incarnation (or more accurately probably, an avatar) of a god, being fated to die sets off from interesting questions in this wannabe theologian’s head. My guess is that in some way, Oyashiro-sama really is protecting the village, and his* death is what will trigger the destruction of the entire town which we already know will happen. 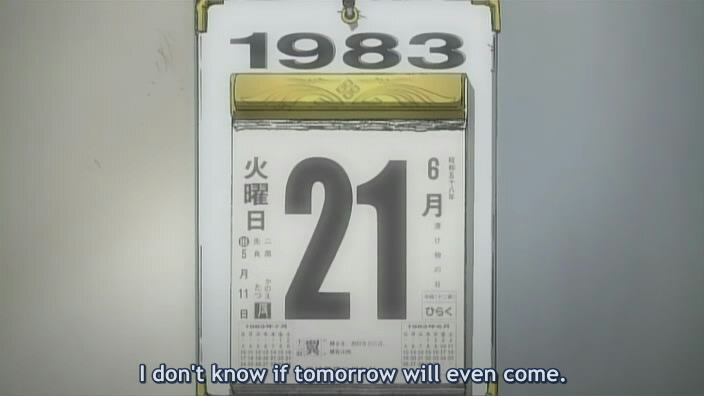 It would explain the fatalism of Deep Voiced Rika and the predictions of her own death. What is unexplained is still why the disappearances and murders each year are necessary–does Oyashiro-sama require it not only to be propitiated, but also to live? (Many cultures have rituals to ensure the continuity of the seasons and therefore crops, and therefore their survival.) 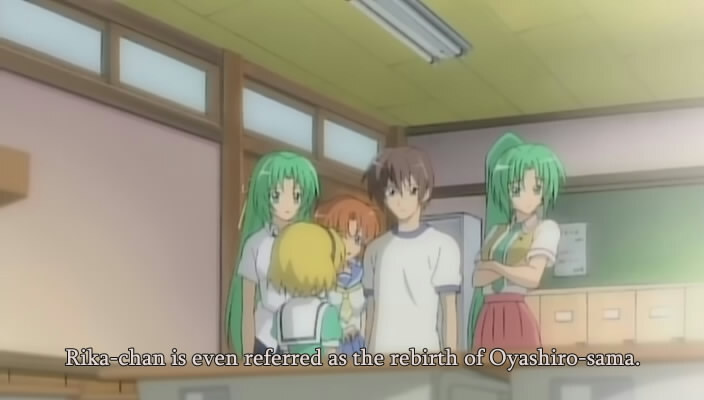 Or, perhaps, since presumably Oyashiro-sama takes on different avatars over time, Oyashiro-sama undergoes generational cycles of death and rebirth? But the village’s end seems permanent and a close to any cycle, so that seems unlikely. What’s clearer, though, is that the story and motive behind Oyashiro-sama is complexifying. Most of the first season presented him as a kind of demonic, bloodthirsty deity who demanded gruesome yearly sacrifice and who was behind a curse that played upon everyone’s desires. A more naturalistic explanation began to surface at the end of the first season and the first episode of the current one–but now, we have an avatar apparently show up in the form of this really cute little girl who speaks with two distinct voices. 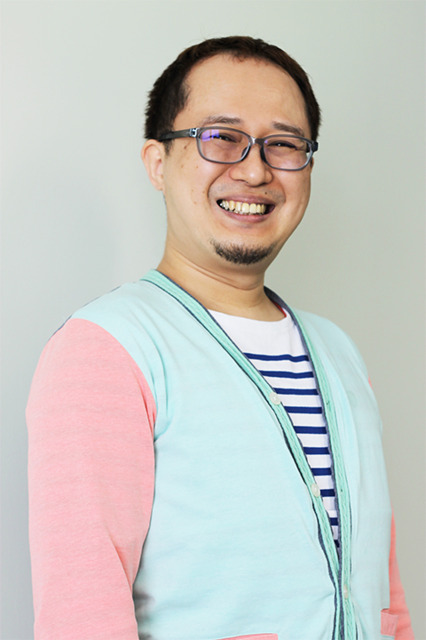 And in a way, solving the theological mystery–who is Oyashiro-sama?–is key to solving the show’s mysteries in general. Because everyone in this show is affected by this god and/or the myth inspired by him, whether it turns out to be true or not. Like any deity worth his salt, he is the center. All plot threads and questions lead back to him. 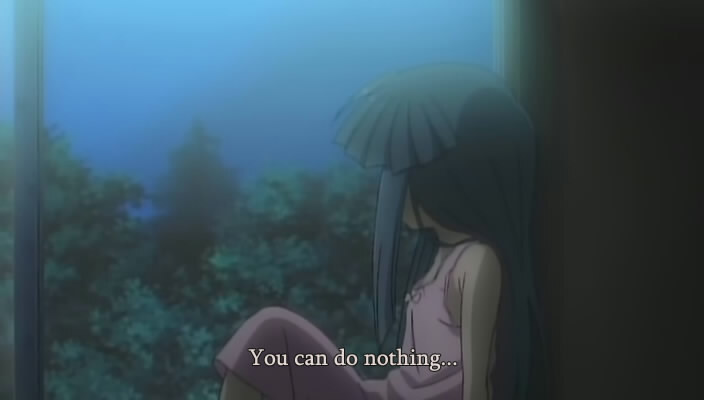 One last thing: I’ve always found interesting about Higurashi is the degree to which the kids’ games were often used as foreshadowing–sometimes obviously, sometimes subtly. Even from episode 1 in first season, no matter how slapstick the antics, every game was tinged with menace, particularly the whole concept of “penalty games.” Here it seems the writers were deliberately mocking their narrative strategy, in which some of the same ominous music, horror movie tropes, and explicit references to zombies were used for humor. 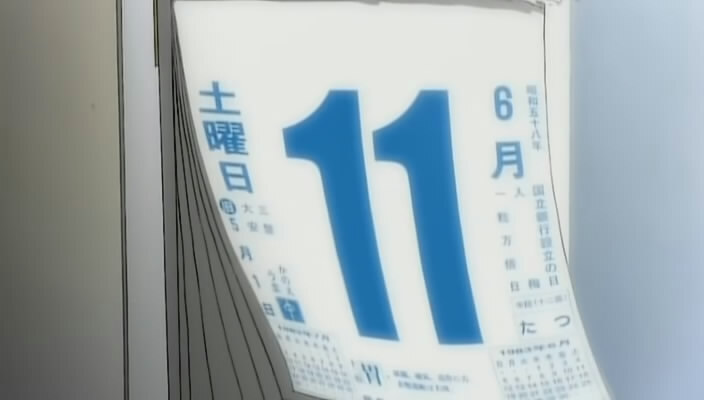 (Might the game’s outcome be a straightforward foreshadowing of this arc’s resolution? It was such in the previous arc, though I felt it was handled a bit too obviously.) Nevertheless, in every arc so far, the real ominousness only begins when the photographer and the police detective show up. And it’s no different here. Finally: I guess the lack of an episode preview is a permanent thing. Alas.